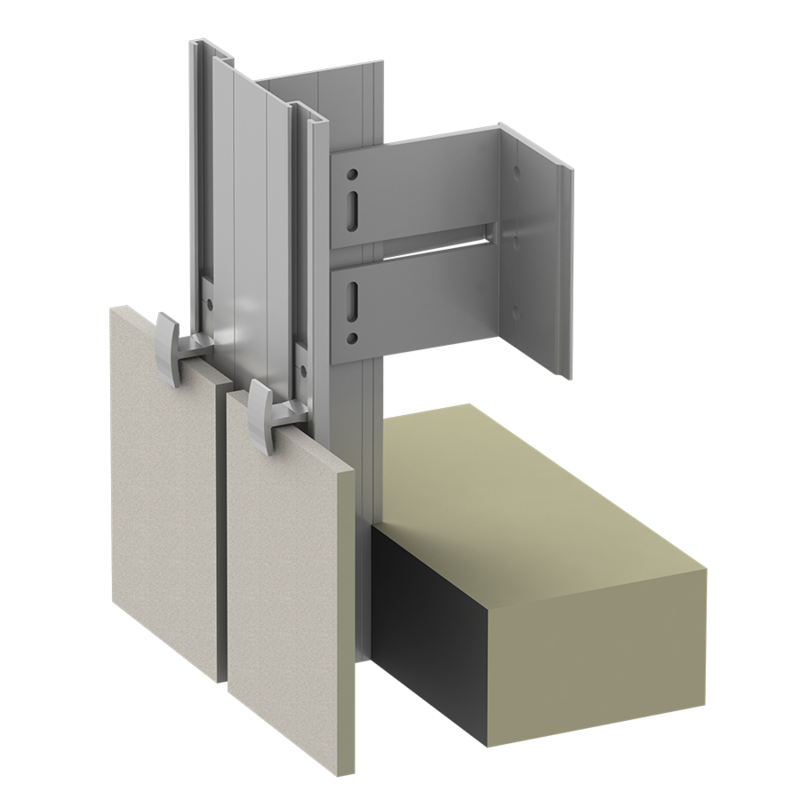 Building designers and owners want a complete, cost-effective wall where all components work together to maximize the wall’s performance. 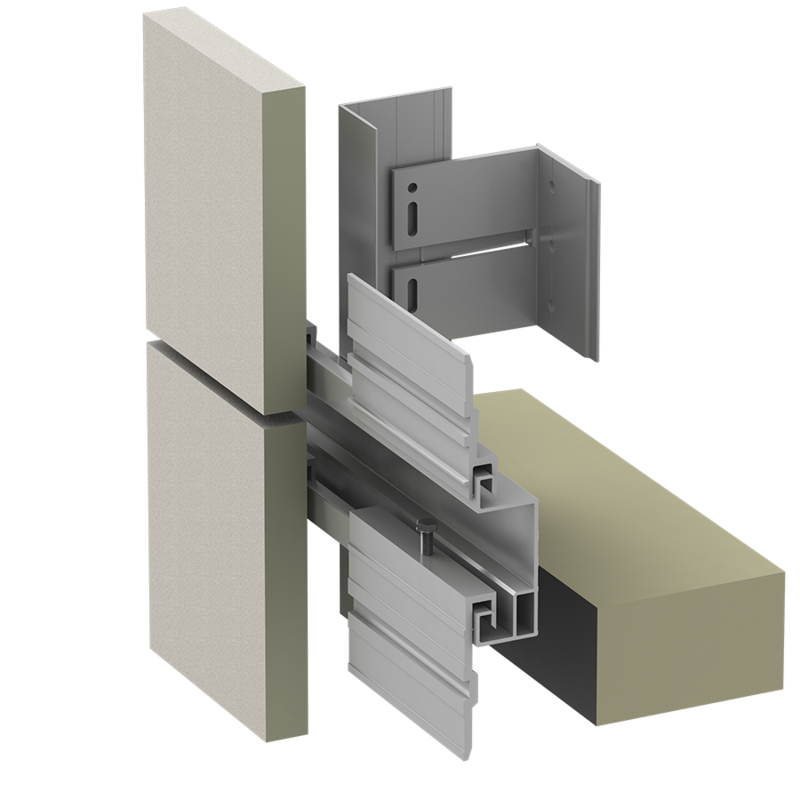 Substrate, air-vapor barrier, insulation, sub-framing and exterior facade panels need to be designed as one wall assembly with each element complimenting the other. 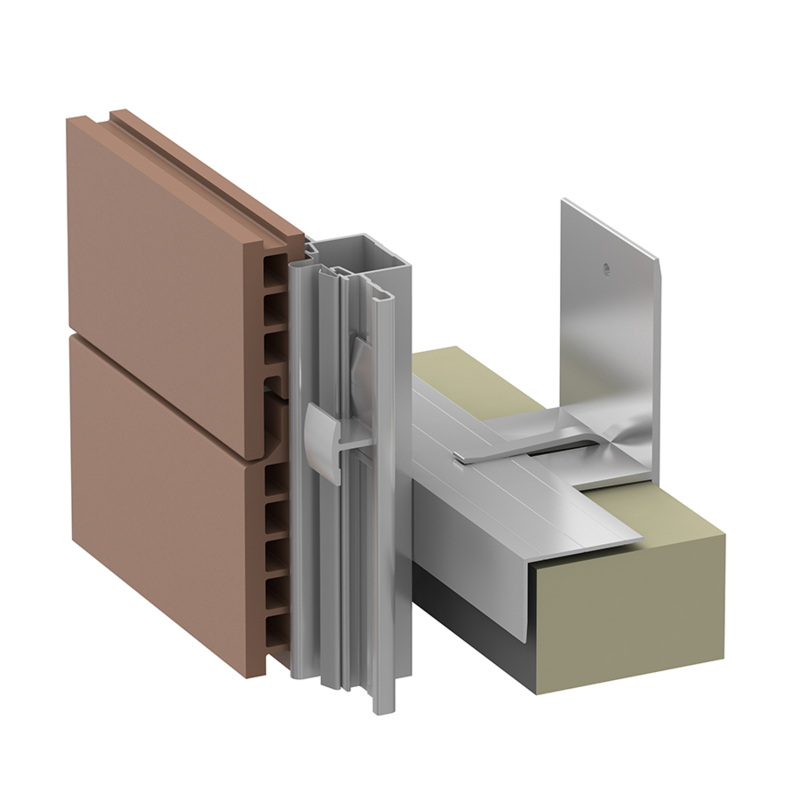 ECO Cladding sees sub-framing or attachment systems as two parts, what we call “C.I. 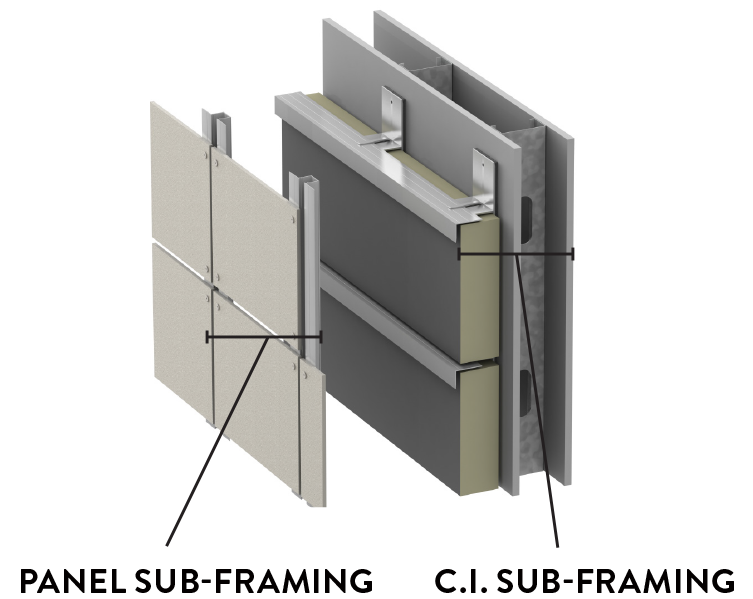 Sub-framing” and “Panel Sub-framing,” working in harmony to create one wall assembly. 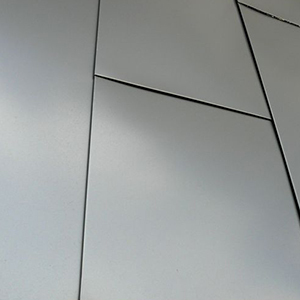 With a variety of solutions being offered, ECO Cladding believes that our aluminum “C.I. 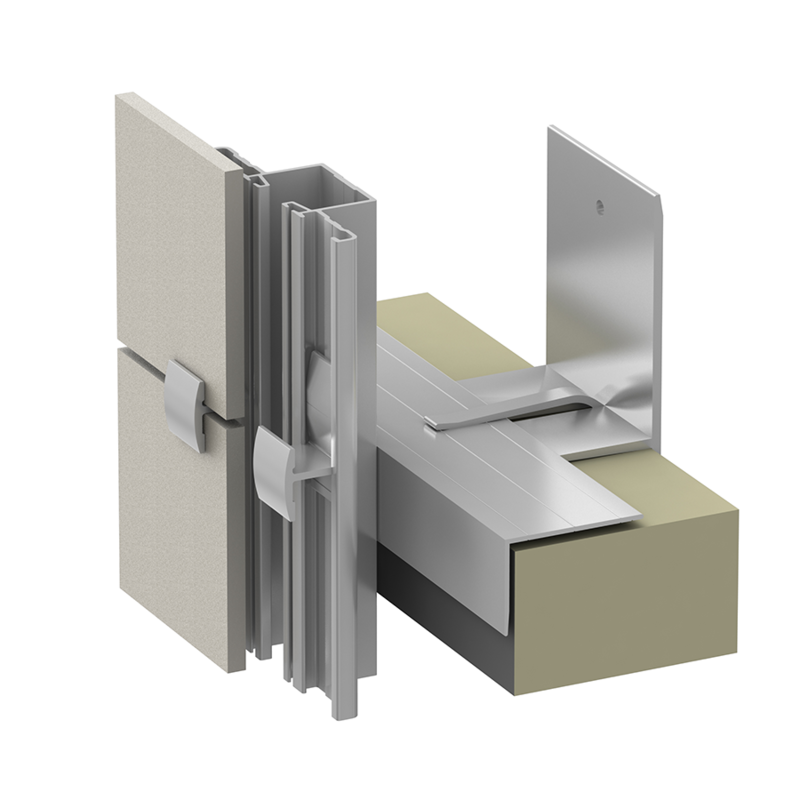 Sub-framing” provides the best combination of fire safety, engineering and thermal performance at a cost-effective price. 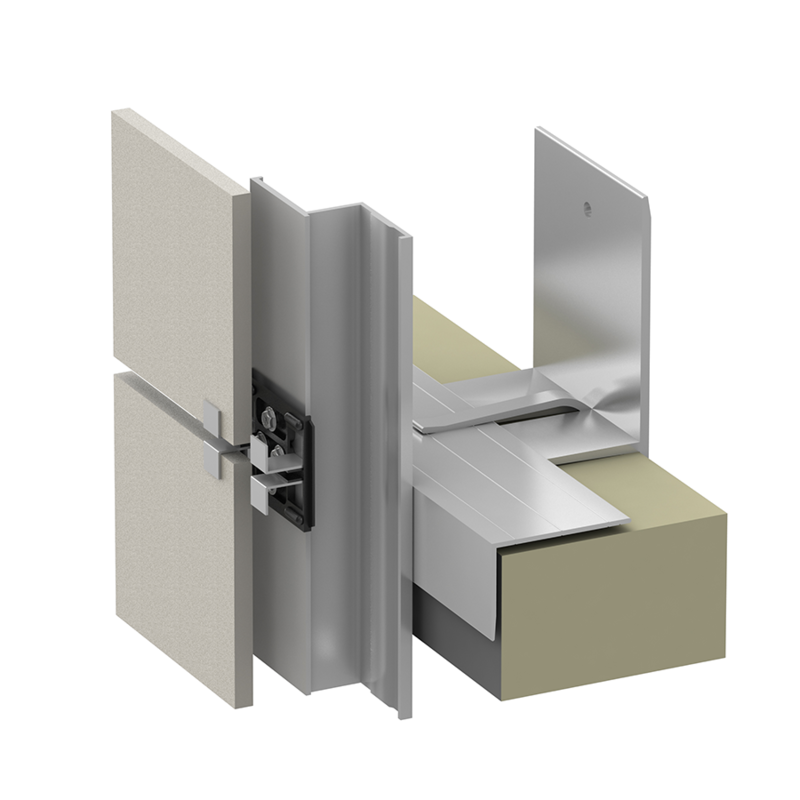 When the “Panel Sub-framing” is incorporated into the system, the wall assembly will address all of the wall’s design requirements and ensure the façade’s exterior panels achieve maximum performance. 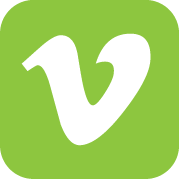 Vertical C.I. 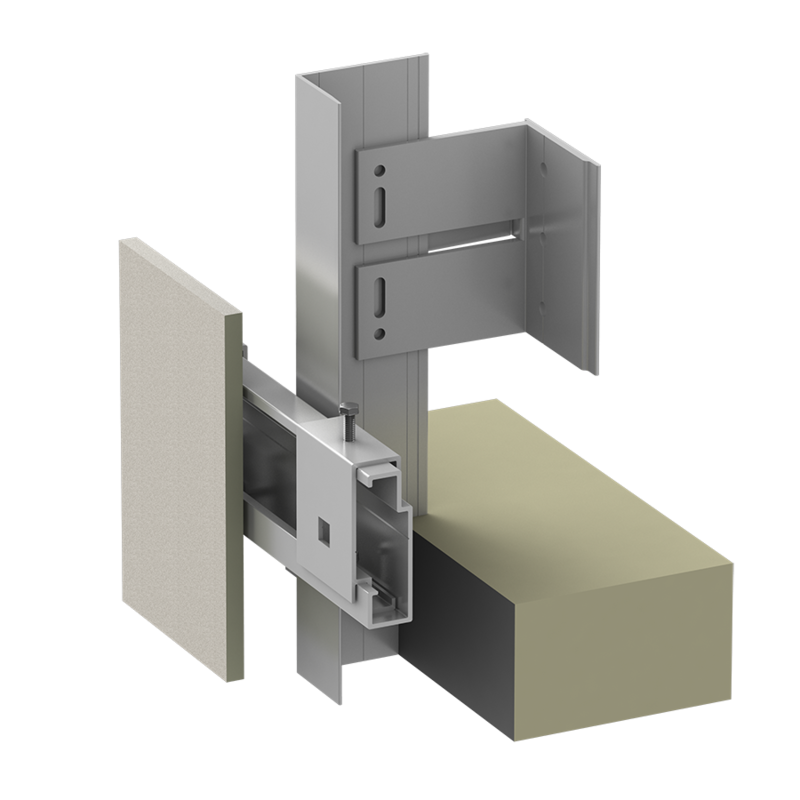 Sub-framing system addresses fire safety, engineering and thermal performance. 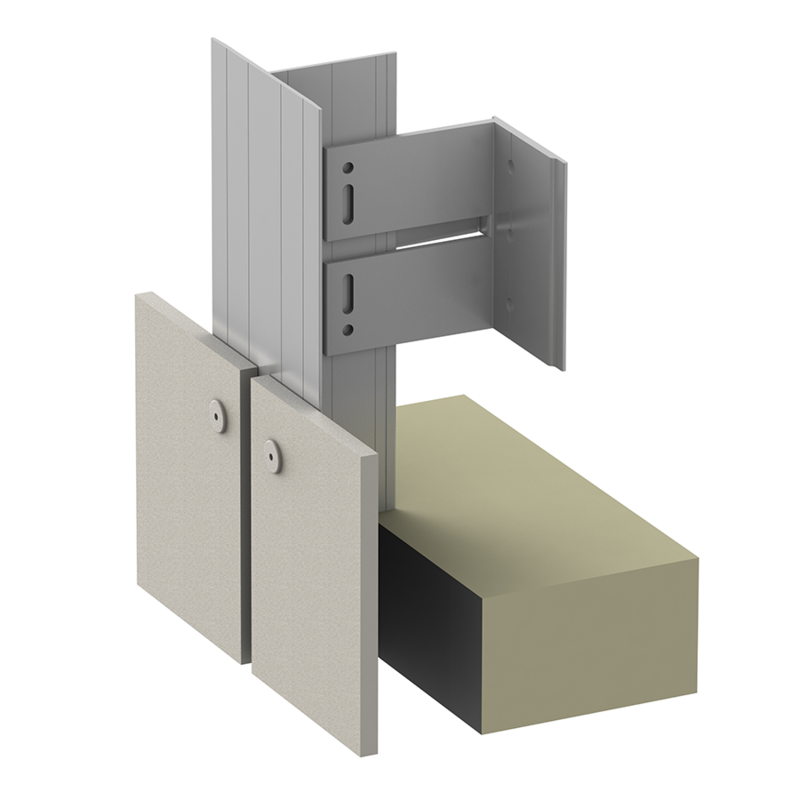 Based on panel layout, creates an attachment plane for vertical panel layout. 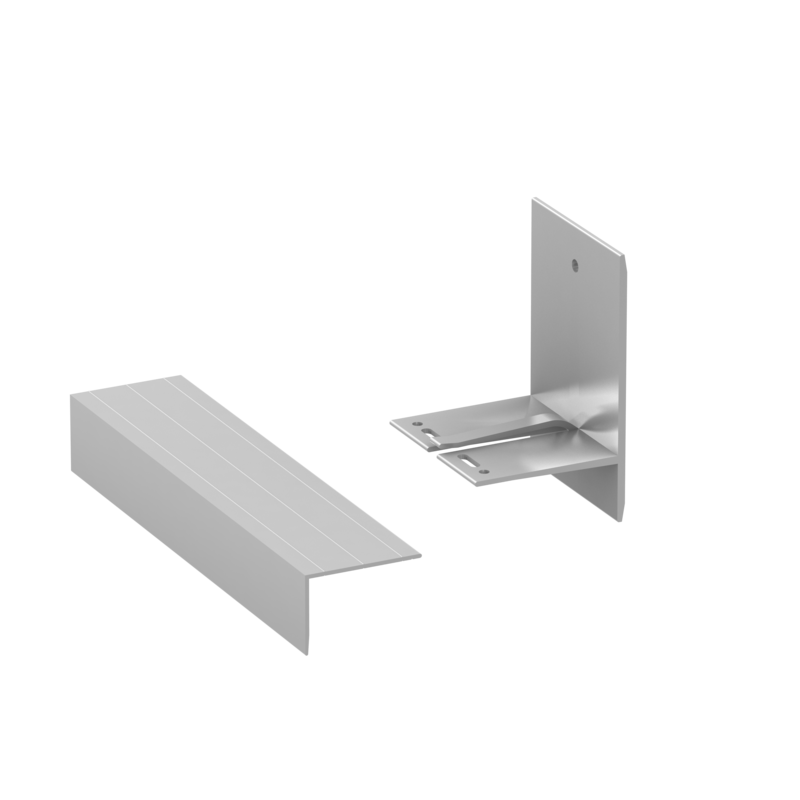 Alpha V brackets serve as the engineered building blocks components for vertically oriented C.I. Sub-framing. 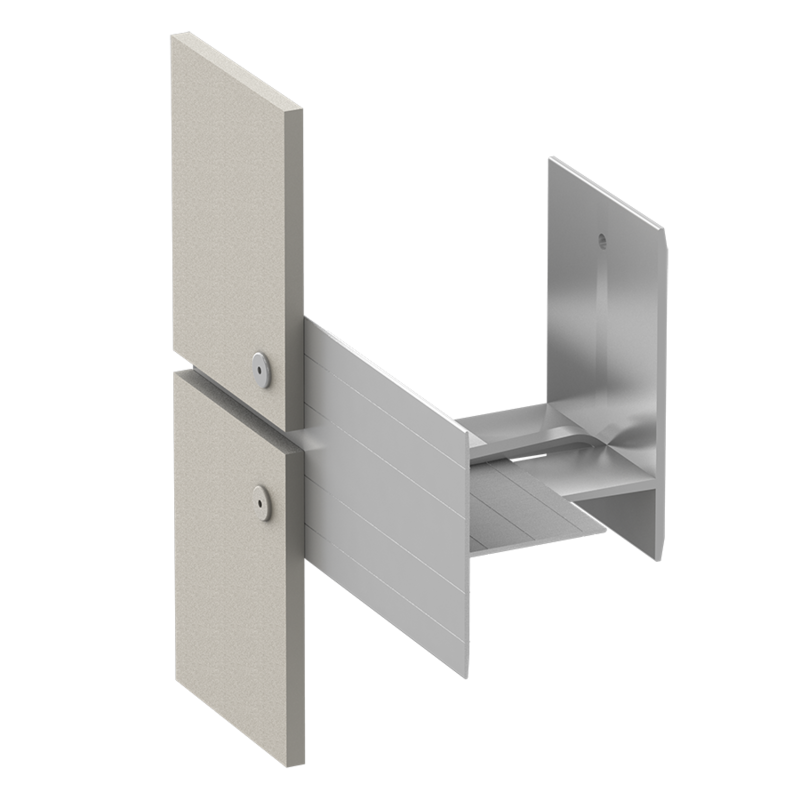 Fully-engineered and designed to incorporate intermittent Alpha brackets with continuous outer aluminum rails to create the “C.I. 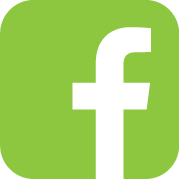 Sub-framing” layer. 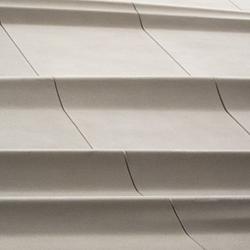 As the primary building block, our Horizontal C.I. 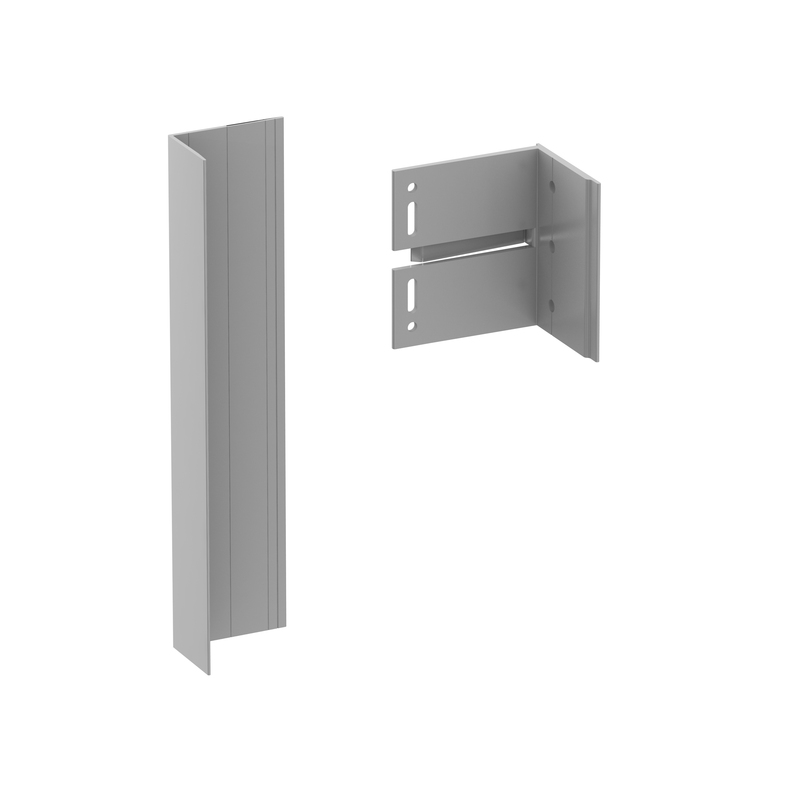 Sub-framing system addresses fire safety, engineering and thermal performance. 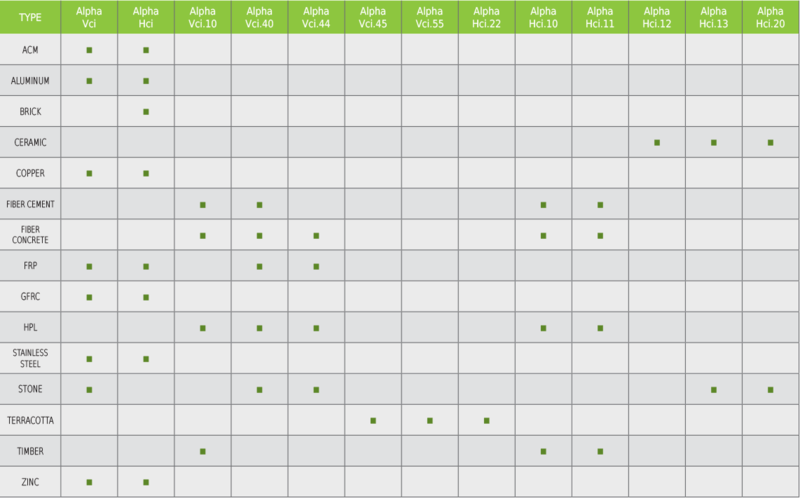 Based on panel layout, Alpha Hci creates an attachment plane for horizontal panel layout. 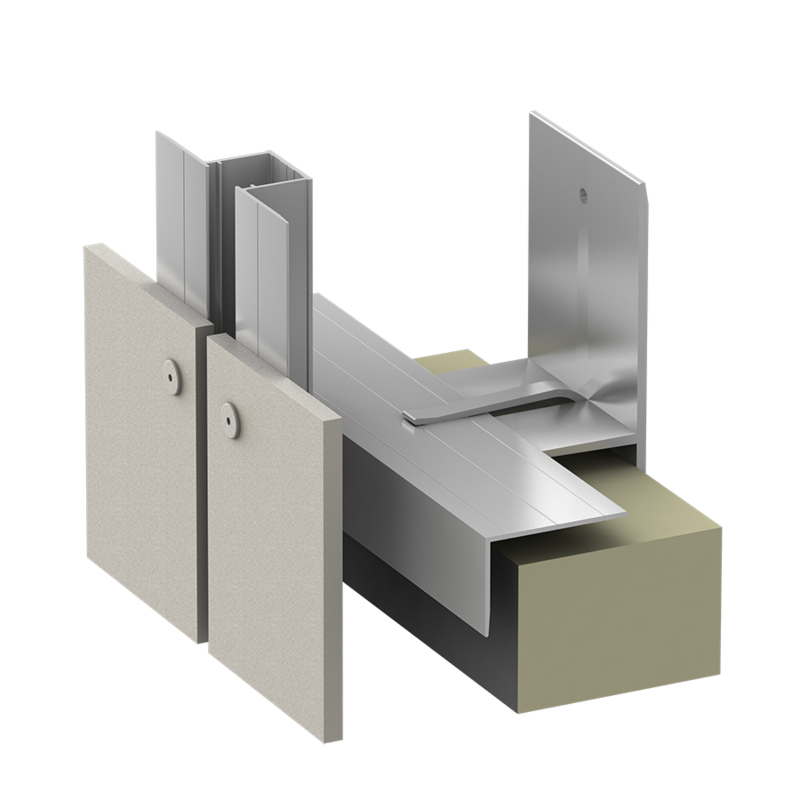 ECO Cladding attachment systems incorporate intermittent Alpha brackets with continuous outer aluminum rails to create the “C.I. 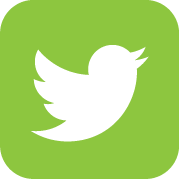 Sub-framing” layer. 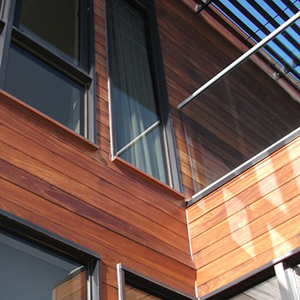 Regardless of the type of cladding material, we have a systems-based solution! 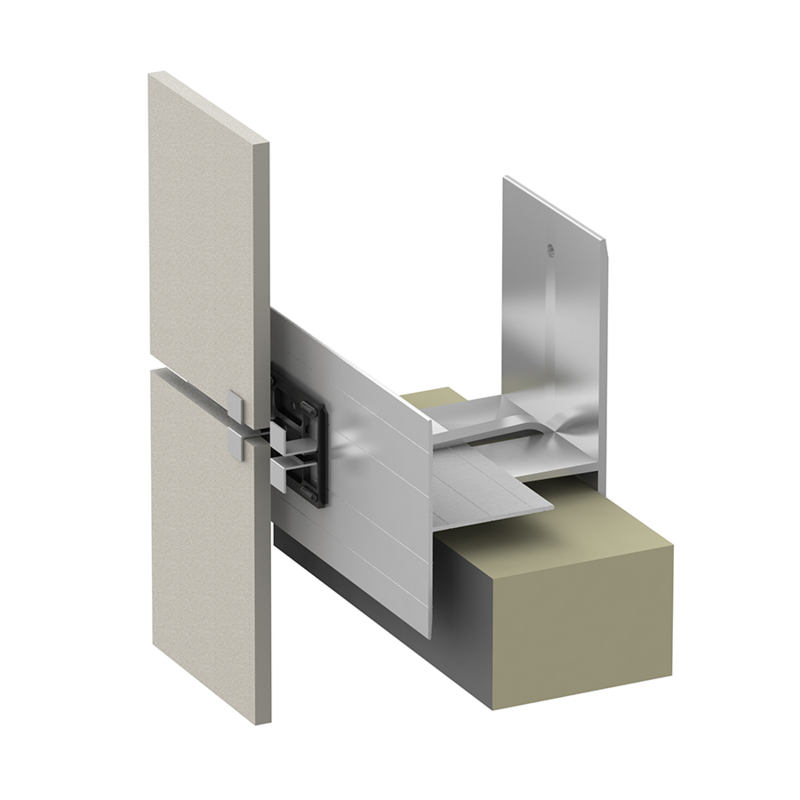 From early design to final installation, our systems allow maximum spanning capability, while simultaneously addressing deadload, windload, seismic concerns, thermal requirements and material deflection.